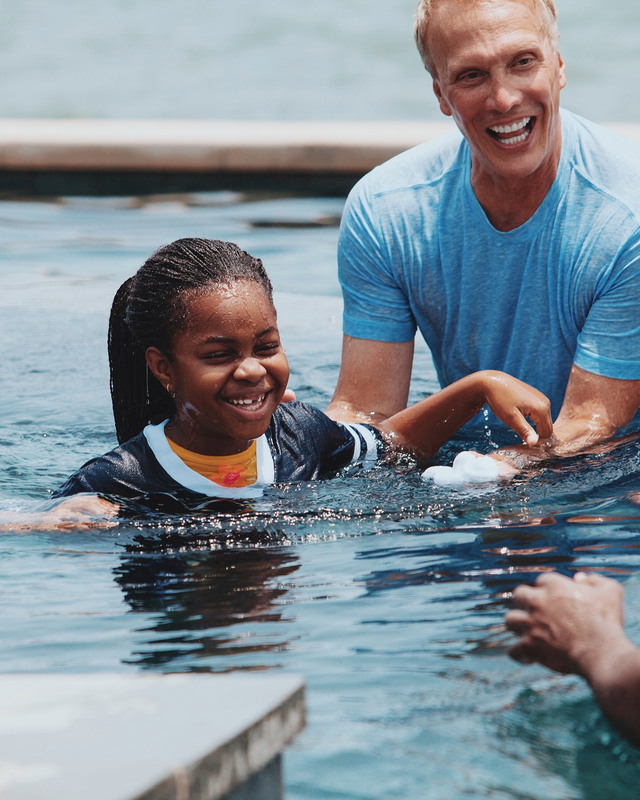 Baptism is an act of obedience, showing others that you have joined God's team by putting your faith in Jesus Christ. Our Children's Baptism celebration is offered several times a year complete with balloons, age appropriate music, and refreshments! Each child getting baptized will receive a God's Team t-shirt to help them remember the special day. We invite family and friends to be a part of this event as we cheer for their decision to join God’s Team! At least one parent must attend the orientation & celebration. Please arrive 15 minutes early to check in and receive your child’s T-shirt. Invite your family and friends to join us as we celebrate this special occasion in your child’s life! Kid Faith is a required class for children before they are baptized at Fellowship Church. To find out more, please visit our Kid Faith Page. Children's Baptism is available for 2nd through 5th graders.